It is beautiful . . .
U.S.District Federal Court,in Newark,New Jersey agree to allow a good mom's U.S.C.Title 42 Section 1983 suit,move forward involving money damages,civil right inequities,constitutional right,of a parent to have such child return to her when there was No Legal Ground,nor Imminent Danger,at the time the state of new jersey agency DYFS in Cranford,NJ and prior Elizabeth,NJ located in Union County,assume,defendant caseworker multiple,and the supervisory staff,had a legal right to bar a child from her own mother,in this case a 10 and 7 y.o. for almost eight years...Shocking the conscience?We think so and are confident,Federal Court,shall continue to do what is right,unlike state family court.Federal Court recognize such constitutional right,civil rights,familial association. Media and Counsel,to all viewing,click here to email. The words,"Inhumane Tragedy"arise from not only media,and attorney(s)experts worldwide following such case but from a judge,who on the record refer to it, after learning about brutality to this family,two girls and one mother a inhumane tragedy,should have NEVER happen,and said it is "the worse case"in new jersey in some time,and in his ENTIRE "CASE FILE involving DYFS workers." The judge was able during same year in 2010 december,able to put this on the record,only when he,at the same time the mother,Ms.S.Bella Melendez,founder owner C.E.O. of the nation's only Student Research,Civil Rights,Educational/Empowerment Call Ctr. (per 1-on-1 ctr. )for such focus on inequities, racism, discriminatory, involving CPS,DYFS of NJ,and nationwide,she was able to as her than lawyer a man by the name of Jonathan D.Gordon,Bergen County,NJ all three learn of the gruesome,beyond significant injury 1 by one involving BOTH girls, one specifically exhibit reports,where the caseworkers listed throughout such page and site,and facebook,all were hindering such evidence,about the child true-status,and condition while away from mom. DYFS(dcpp)official site everyone is not in any way unclear. DYFS(DCP7P) is responsible for investigating allegations of child abuse and neglect and, if necessary, arranging for the child's protection." The Child Abuse Hotline (State Central Registry) receives all reports of child abuse and neglect 24-hours a day, 7-days a week. At such time the mother was making calls to the"State Central Registry/Abuse/Neglect DCPP hotline" her girls were being tortured. 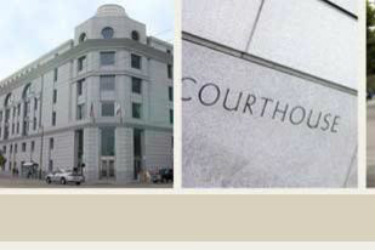 adhere to multiple APPEALS(higher court)who informed them on REVERSE decisions, to do what is right,as this"directly affect as the appeals cite, "the PARENTAL RIGHTS" of the PARENT, insofar as SEVERAL YEARS without a phone call from either daughter, no human contact for years, no "truthful account by DCPP,DYFS on where they were, on how they were doing, on are they alive or dead, no email,visit,hug,interaction with her girls, to having the girls reunite with the loving parent. The pain is still as strong as it was years ago, premise on the fact it happened and did not have to is what hurt the family most,premise on workers who at the time, simply just did not care about if 2 healthy girls lived or died,and sure did not care if a good suburban mother to her girls were ever going to hold, hug, see them alive again. LAWSUIT HAS WON SUCH RIGHT,ON ALL CLAIMS,CAUSE OF ACTION et.al, to move forward as cited by the U.S.District Federal Court. Experts who have learned about the ordeal the loving parent + her girls have endure for almost a decade, are left befuddled and are wondering how in the world did this even happen when it was clear as day what DYFS history is, insofar as being in reform, during the same time, as sweet little FAHEEM WILLIAMS, and his 2 (surviving) brothers, now around same age as the founder girls,however, Faheem, the little boy who was actually the same young age as 1 of the owner girls, only seven years old, when he was sadly being really being abused, for some time RIP, but yet, DYFS,DCPP workers failed this child whose now too early RIP in heaven,premise on their action/inaction for some time." Sadly, this was still not enough to help 2 little healthy sunshine beautiful girls, avoid being tortured while the entire time, while forced away from their loving mother during a routine holiday visit. Our founder, many times had no clue where her girls even were, even though in subsequent court hearings, she was informed at various times, "the girls are doing well, and we just seen the girls and they were both happy, healthy no "concerns with either girls." Experts agree such case is clear, of the damages,consistent with unconscionable act(s)of these specified defendants that sadly lasted for almost a decade,during a time NEW JERSEY CHILD PROTECTION AGENCY was suppose to have been in "reform." NJ Parent,and her two daughter's most warranted lawsuit pending currently 2013 at time of press,has been granted to move forward,forcing the government employees listed to turn over records,supporting EACH and EVERY Hospital-related reports et.involving such child and all who knew and or should have known,but yet chose to turn"a blind-eye." Such discovery-along with the actual,already clear-illegal acts,by the division of union county,nj will convince ANY reasonably jury that a child,who was always happy,educated at 10.5 yrs old,with her mother not at all at serious risk of harm,had a legal constitutional right to be free, from such harm,24hrs.a day while "under state supervision. "What a jury will agree with as multiple nationwide EXPERTS viewing PER fact, that a state agency"chose"to take away 2 little girls,in suburban New Jersey, and place them,wtih a man who was and still is not fit, to raise a child at all,should have NEVER been granted the right,to procure custody, and all of his legal and medical etc. 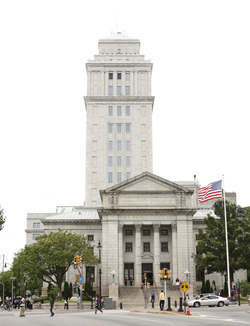 sole-custody "decisions"has lead to, with under the cloak of secrecy,by DYFS, lead to a series of injuries,multiple and consistency in violation of public gov't employee policy at DYFS, New Jersey's troubled agency,encompassing the fact, If therapist,assigned during almost eight years of litigation, KNEW of the "truth" of the TRUE-CONDITION of the girls,BOTH,no reasonable jury, therapist, policemen teachers, lawyers, experts, regular folk viewing such story,would ever or hearing the facts, all of the facts along with the severe shocking the conscience fact(s)would agree this lil'girl, and her younger sister, should have been not only removed but "after"the removal, why was she not returned. Malnourished 7.5.years,treated for years as a unwanted(Step-child)by dad new wife all known to DYFS who later,conspired to keep her out of dad home where no one would be any of the wiser, IF judge thinks "Child is still at dad residence." -Hospitalization-multiple times, mother learn of at least nine or ten times,since only age 11 to 12 yrs old. -Psychotropic Drug-numerous given to a once happy drug-free,happy healthy beautiful little ten year old. -Assaulted repeatedly-while under the cloak of secrecy for almost 8 years,without ever allowed to go home? -Force to remain in multiple foster homes.-(mother and counsel learn at least 8 )might be more once we are at such discovery phase,et.al. )the parent think there are more,premise on new facts,supplied to her recently. -Force to remain silent on the horrific in-foster-home abuse by foster parent(s)from bridgewater,millville and other cities,too numerous to name,throughout New Jersey,all under State Supervision,ostensive "care." -Force to engage in acts,no child should have to ever be a part of,while again under"state supervision/care." Deprive such right to even see one's child,who at the time,was "said under oath by cps"child is doing just fine. Deprive the right to familial association;under Due Process Clause of the well-established Amendment 14th. Federal Court,has adjudicated recently,"parent has clearly demonstrate,by the submission of enough facts,sufficient evidence attach,to move forward hence no dismissal of her $50,000,000.00 suit. Four Judge(s)in the Union County Superior Court,have allowed D.Y.F.S. in NJ to see to it a child remain in foster care,and with troubled individuals.State court clearly,unlike Federal Court,do not care about one's constitutional right,and or civil rights. 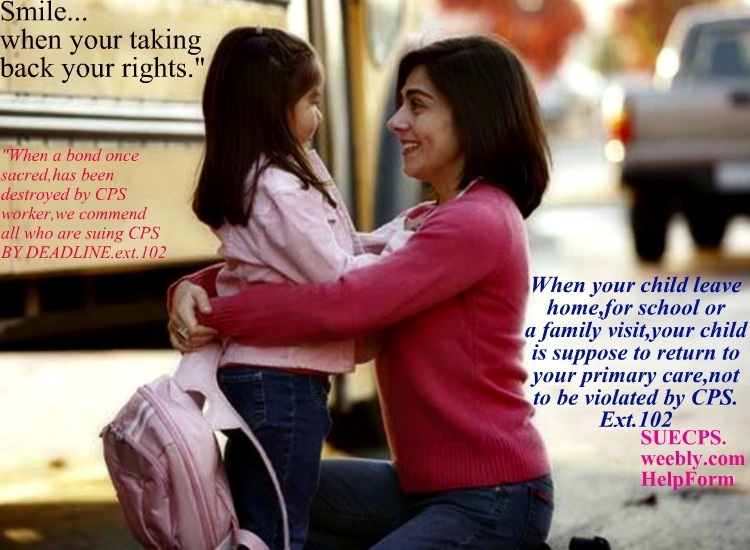 CPS ignored it all,for as long as feasible,until and ONLY until such civil rights lawsuit for staid injuries to a little girl age 10 through the time she was almost eighteen,darken her life encompassing her mother,and other little sister. The damage(s) were of no fault of the child,as all experts agree, and or her loving parent,who won such right to see her lawsuit for damages move forward. Such page has been revised/updated et.al, due to technical issue(s)ergo, be sure to return when you're reading such updates et.al, and or call in naturally,for a full complete update during such. HAPPY FAMILIES, HAVE A RIGHT TO BE LEFT ALONE BY DCPP,DCF,DYFS. WHEN THE HORRIFIC GRUESOME ACTS,ARISE WHILE IN STATE CUSTODY,UNDER STATE SUPERVISION, IT IS THE STATE RESPONSIBILITY,WHEN ASSUMING CUSTODY,OVER THE CHILD,THE STATE WORKER ONUS TO PROTECT SUCH CHILD UNDER EIGHTEEN YEARS OLD. WHAT HAPPEN TO OUR FOUNDER,AND HER GIRLS, FOR ALMOST A DECADE,WAS CALLED BY A JUDGE ON THE RECORD," A HUMAN TRAGEDY & THE ABSOLUTE WORSE CASE IN HIS ENTIRE FAMILY DYFS,DCPP COURT FILES,AND AS EXPERTS COAST-TO COAST CITE,"IT IS PRETTY CLEAR AS TO WHY THAT IS..."
Lawsuit filed-U.S.District Federal Court against multiple DCPP dyfs,dcf employees out of the UNION COUNTY, Cranford, Elizabeth, New Jersey. . .
Federal Court, has spoken by allowing after a long severe agony time for the family, allowing our boss lawsuit and daugthers, to move forward for such money damages; discovery et;al after severe torture,clearly not superfluous, sadly did not matter though to these workers and supervisors,"all on the hook in U.S.District Federal Court. Injuries,already public are severe, each time the mother remember, it bring a waterfall of tears premise on a moment in rememberance, insofar as how a state agency who suppose to "protect, failed her girls at each turn for years, almost 8 years, repeated neglect,severe in nature,without slow-down,just repeat harm to the girls as if they were not even human,1 expert in NJ put it and in Washington,an expert hearing/reading what happen compared it to other significant horror stories, involving such troubling agency. b. )work with mom to procure custody again,while the girls were as their own reports support,not at risk with mom,no serious injuries,no injury consistent, insofar as a "legal basis/authority at such time for 8 YEARS to keep 2 little girls away permanent from their own parent." Such facts are clear. The APPEAL court clearly had cited repeatedly, to basically just do what is right. Reunite parent with the girls. Simple as that. and properly investigate the multitude of allegations, used as "truth" but yet were not at anytime properly investigated. DURING SUCH TIME THE GIRLS WERE NOT WELL.NOT SAFE. DURING SUCH DCPP SEIZURE, BOTH GIRLS, WERE NOT HEALTHY AS THEY WERE WHEN LIVING SINCE BIRTH WITH THEIR MOTHER. YET DYFS DEFENDANTS all said at one time or an other, the complete antithesis. Meanwhile, mom was being informed as the court, she was fine." 1. )How her child was doing. 2. )How her girls ended up the way they did when DYFS,DCPP promise/sworn under oath,at all different times and or in several affidavits, that the girls were being protected and well taken care of. 3. )Did not know at times repeatedly if "Gia & Tia" were alive...or dead. This type of pain, a former jury member in our state who called after reading the story cite,"is just inexcusable, as well as downright cruel." b. )CHOKED/ABUSED/STARVED AT TIMES,as reported and discovered. c.)Beaten- Bullied and assaulted regularly by those who clearly have caused her so much severe harm for years. while uffering from also gruesome horrific other forms of child abuse in EVERY field of abuse there is and severe neglect. All the while everyone, mom was available, to have her girls home, safe and where they were loved. Healthy, doting working mom, readily able at ALL times, to procure her girls, as there was already a report on file as known to media,who validate that there was just "no reason to keep the girls from their mommie" and another report citing,"CPS (dyfs) employees during the day in question,and at the time of the actual investigation was that the CPS employees simply had No legal right, and or no legal authority,to keep the girls from going home. 12yr. to 15yr. combine expertise in such field on suing CPS pro-se by deadline for atrocious act(s)unbecoming to a state employee et.al, Section 1983, 85 and other damages already verified, pro-se self file level of expertise, in which we shall continue to remain astute, effective,in our clear mission, for which is supported by lawyers, worldwide, like shawn mcmillan, elaine l.donnelly, jay chapman,and mr.jonathan d.gordon, to other lawyers around new jersey, nyc, pa, tri-state,and nationwide, and any other lawyers who are being added regularly to our student won network 1-on-1 LIVE CHAT online research student database, be sure to call and ask specifically for her at ext. 806 anytime." Remember, even though you never thought it would happen to you, we are here to remind you, it will happen if you're not knowing what to do(upon DYFS,DCPP entering your life, and or when you are attempting to sue correctly as the owner has pro-se,sef file by deadline DCPP.) There are great workers at CPS in NJ. She has met many,and even ones who call her hotline-(and there are several who have)to commend her on fighting hard for her civil rights damages/her girls survival et.al, and CP&P,DYFS workers have shared how she was right all along and how a cps worker even at the former local office shared with founder how it simply should have never happen to the girls + mom. We personally are sentient to the fact, workers at cps ARE needed,but for the children who are really at high risk,and being abused, somewhere,someplace right now in our great state. The W.O.N. Student Research Expertise, online network always commend you all for your hard work,to protect "children who are "really abused + at staid risk each day." However, the workers who have caused so much severe-agony to founder + her girls as FEDERAL COURT agreed,family are moving forward for their damages,and we are happy to see such achievement when family of innocence,was mistreated,intentionally violated for almost a decade. INEXCUSABLE. Media, we thank you for airing the family severe-agonizing ordeal. Attorneys: we thank you for your input with the owner/founder regularly,and over the years and your interest here at the Nation's 1st onlineresearch 1-on-1 LIVE CHAT center,of its kind,along with those who are sending their prayers,for the family,encompassing mom+her two girls,severely injured for almost a decade, by DCPP,DYFS,DCF who ,should have done all they can by law, to reunite mom,as multiple-APPEALS were not in any way unclear of. Be sure,to always call on lawyer first,to see if he is going to be able to represent you,and call more than one. The Research Educational,Empowerment,Civil Rights Bellas Research LIVE CHAT 1-ON-1 per request,lawstudent&informational call in center, for those suing known as pro-se,(self file CPS worker by deadline,will continue to only focus on what has been expound in such site disclaimer(s) on our site(s)student web pages,facebok et;al. If your attempting to find lawyer to sue child protection services be sure to look aggressively. Call as many as feasible.Do not give up after only calling one lawyer,BECOME pro-active,as time is always limited when your attempting to sue timely,as your right,to proceed to do so. Call as many lawyers as feasible. Time will run out to sue sadly for many who have not sued cps in a timely fashion,as clear research on such relevance wholly support. This web site is intended for informational purposes only. Nothing contained herein constitutes legal advice, nor is it intended to give legal advice. in a timely fashion.ext. 806 or ask for ext. 102 directly. "God speed to our families."